I’m on the 9th floor of the downtown Criminal Justice Center. The hallway at this end has a scattering of people. There are more people down at the other end of the hall including media. I think I see the famous AP reporter as well as Miriam Hernandez from local ABC 7. I also see Terri Keith from City News. Terri is the most talented reporter covering the criminal courts. She often juggles 40 cases at a time. I see the media head into Dept. 109 so I’m betting it’s for the Bell corruption fiasco that’s still ongoing. There is also a Woodward hearing in Dept. 100 on the 13th floor that I will miss. I will try to find out when the next hearing date is and where the case gets assigned. Shortly after I arrived Chris Nicely, one of Gargiulo’s private investigators (Nicely will handle the death penalty phase) arrives. I note that Nicely is left handed, like myself. There are several people here from the general public that have children with them. There are also several attorneys. It’s not too difficult to tell who is a DDA and who is a defense attorney. There’s also the regular bunch of court appointed defense attorneys that I usually see in Dept. 30, arraignment court. I see Judge Lomeli, (Dept. 107) out of his robes and wearing a short sleeve navy shirt, unlocking his front door. A few attorneys try several of the doors on this end of the hallway but Dept.’s 108 and 106 still remain locked. DDA Akemon is usually here by now, and I’m wondering if he has a hearing in another courtroom. I see Mark Werksman, who defended James Fayed on murder for hire charges. It looks like he has a hearing in Dept. 108 this morning. He’s currently chatting with a few other attorneys. A quick glance at the entrance to the security station, and I see DDA Habib Balian who is prosecuting Woodward. I’m wondering if the Woodward case got transferred already. It looks like he went into Dept. 103 with another attorney I don’t recognize. Dept 108 opens and I debate going inside or stay watching the activity in the hallway. I decide to go inside. There are a few people already inside. There is another case that will also be heard today, and it will probably go first. I hear Mr. Werksman, who is over at the clerk's desk, state that they are here for the Yang/Kim matter. When Werksman see me, he smiles, but I get the sense that he doesn't remember who I am. A few moments later DDA Daniel Akemon, DDA Garrett Dameron and LA Co. Sheriff's Detective Mark Lillienfeld (pronounced Lilly-field) enter. I get a quick greeting smile from everyone. Dameron leaves the courtroom a moment later. Akemon goes over to the clerk's desk to check in. Afterwards, he places a short stack of papers at the defense table. Werksman and Detective Lillienfeld enter into a lively conversation in the well. I ask DDA Akemon about the Ka Pasasouk case. There was a pretrial hearing in that case yesterday in the San Fernando courthouse. He tells me that the case was transferred downtown to Judge Larry Fidler's courtroom. I have no idea why the case was transferred. The next hearing is February 28 and will most likely be short. Akemon and Nicely are having a quick chat. I catch a few words of their conversation and it appears they might be talking about whether or not Gargiulo received the DA's latest motion filings. Judge Ohta's pretty court reporter sets up. Chris Nicely has moved from the last row of the gallery to the well of the court. I note that Judge Ohta's hair looks a little fuller today. Maybe it's just tossed up a bit higher. Judge Ohta enters the courtroom, putting on his robe as he approaches the bench. He addresses counsel in the well. "Counsel on Yang & Kim, approach please." After a discussion at the bench the court goes on the record to set the case over to April 11th. Ms. Kim's court approved Korean interpreter is also ordered back on that date. Gargiulo is brought out. He still has the gray and black goatee. His hair looks like it's been recently trimmed. He's not wearing his glasses. To me, he doesn't look anything like the booking photo at the top of the page. He's lost his color from being incarcerated for so long, and he appears like he's lost weight. Judge Ohta asks the defendant if he's ready, or if he wants some time to talk to his investigator. As Gargiulo and Nicely chat, Gargiulo puts on his glasses. Judge Ohta goes on the record and documents the appearances. "The last time we talked about SDT's issued for police records." Judge Ohta mentions the filing motions he has in front of him, most likely from the DDA. There are four motions filed, three responses and a motion to compel. Judge Ohta tells the parties he needs to read through them. He asks Gargiulo if he has received them and if he needs to read through them. The court also indicates that there are four envelopes here (subpoenaed documents). "I don't know what they are. ... I think we should come back ..."
I believe Gargiulo is asked what he wants to do. Gargiulo replies, "My understanding ... that I didnt' want the prosecution (interfering?) in (my defense?) ... I think I'm being (?) ... I'm asking the SDT's to be held ex parte ... "
Judge Ohta tells the defendant, "They (DA) say they have standing to quash." Gargiulo replies something to the effect that what he is requesting is the Sheriff's Dept. medical disbursement procedures, that they have no objection and that they handed over the SDT. The court replies, "So respond to it and give me authority that they are prohibited from (participating?) from this process." Judge Ohta is basically telling Gargiulo that he needs to give him case or code law to support his position that the DA has no standing to quash the SDT's he's sent ut. Judge Ohta also tells Gargiulo that just because he's issued an STD, that doesn't mean the party being served can't appear. Gargiulo tells the court that his understanding is that party he's serving would be the one's challenging his subpoena. The court tells Gargiulo that the DA believes they have standing to challenge. The next court date is March 7th, and Gargiuo is asked if that will be sufficient time for him to write a response. Gargiulo responds, "That should be okay." Gargiulo then adds, "The last time [he was here] I withdrew the subpoenas. ... I went under informal request. ... It's a protocol to determine who is authorized to disburse medication." Gargiulo at some point, believes that the DA is trying to get inside his defense, his work product by trying to quash these SDT's. Judge Ohta replies. "I have no idea what you are talking about. ... I understand the procedure. I just don't understand the content." It appears Gargiulo is looking for policies and procedures for "who" at the LA County Sheriff's is authorized to disburse medication to detainees at the jail. Gargiulo then goes into this long ramble about how he was told by a deputy that he was ordered to take a medication. "Now the prosecution says I'm not allowed to have that, quoting 105.4.1. ..."
Judge Ohta responds, "You speak specifics and then you go global on me and I'm trying to follow you." At the last hearing, Gargiulo withdrew some SDT's he issued, requesting the protocol and procedures of disbursing medication. He was supposed to request this information informally of the DA. On February 9, 2014, hi filed (an SDT?) for LA County Sheriff's protocol for disbursing medication at the Men's Central Jail for June and July 2008. Gargiulo points out that there was a typo in the DA's response (they quoted criminal procedure 104.5.1 and it should be 105.4.1) saying this information is not discoverable. Gargiulo states something about this material being exculpatory. Judge Ohta interrupts Gargiulo and tells him to stop. The court says something to the effect of kudos to Gargiulo for finding that error in the DA's motion. He then explains the standard procedures these requests need to go through. It depends on each and every item, the specific item, what steps will be followed. "The item dictates what happens, " Judge Ohta explains. Gargiulo is allowed certain information under an umbrella. That's the discovery process. There is other information that he can obtain, that's outside the umbrella. "Not everything you ask for are you entitled to." The court explains that the opposing party can contest the other side gets this information. "The prosecution says they have standing to quash. ... It must be resolved individually. ... Are you with me so far?" Gargiulo responds, "Yes, yes." Judge Ohta continues, "I haven't read this motion to file and motion to quash. " DDA Akemon explains that the motions he filed today are related to the SDT's that were discussed at the last hearing. Akemon believes they target law enforcement. Gargiulo asks if he can make a suggestion, if it's convenient for both parties. Juge Ohta tells Gargiulo, "How you want to hand this is completely up to you. ... If you want to let the DA know what it is (the SDT's) that's completely up to you. ... We all don't know what's in there." DDA Akemon adds, "One of the remedies that I suggested, it seems it would be appropriate for the court to look at the documents to see if it's discoverable." Akemon adds that, "I'm not in a position to argue on the SDT's ... I don't know what' in the envelopes." Akemon's position is, "... we can't litigate in the dark. ... People's rights may need to be protected." Judge Ohta tells Gargiulo, "I'm going to hand you the envelopes. You are not to open them. This is to determine if these are the matters that you issued SD'Ts for." While Gargiulo is looking over the envelopes with his investigator, a man with a badge on his belt comes in to speak to Detective Lillienfeld. I see Lillienfeld hand the officer his parking stub. The deputy quickly leaves. Judge Ohta addresses the parties, "What's that code for in camera procedures regarding SDT's? Is it 1326c?" After Gargiulo looks through the envelopes, the court asks, 'Are all these documents here, documents you issued an SDT for?" Gargoulo states that there is one envelope with the name of his other investigator, Christian Filipiak. He's not sure what that one is, because all the SDT's he issued under investigatory Nicely. Judge Ohta asks the prosecution if they would like to look over the envelopes. The two prosecutors and their detective look over the envelopes. DDA Akemon tells the court that all the envelopes appear to be SDT's issued by Gargiulo, with the exception of the UCLA Medical Center envelope. He believes that envelope is his subpoena. Gargiulo thinks that might be his medical records. Akemon tells the court, "I believe those are records for a victim. ... This is a prosecution subpoena. ... One of the victims was treated at UCLA." Judge Ohta explains to Gargiulo that this is the prosecution's subpoena. 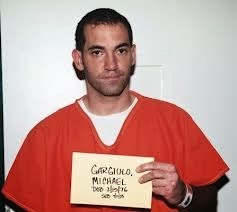 The court asks Gargiulo if the prosecution can open the envelope, copy the information, give the defense a copy and return the original documents to the court." I believe Gargiulo agrees. Judge Ohta continues, "That leaves seven big envelopes. I think some of these contain smaller envelopes." I believe Gargiulo asks, "If there's no objection the the DA's behalf, ... okay if the court opens [his] the subpoena's and identifies each of the items." Judge Ohta tells Gargiulo, "Doing that bypasses the motion to quash. ... but if some one's quashing, I need to deal with that." There is a bit more explanation about the quashing process. DDA Akemon states he's going to object to the court opening the subpoenaed documents without first knowing who what subpoenaed. Judge Ohta tells the parties he is not going to open them at this time. The next step then, is Gargiulo needs to respond the the motion to quash the subpoenas. Gargiulo is asked again if the next scheduled hearing date, March 7, is enough time to respond to the prosecution's motion. Gargiulo agrees that this is enough time. DDA Akemon then tells the court that there is one last housekeeping matter. The DA's office has turned over discovery pages 28,697 through 28,775 of the murder book to the defense. The court asks if Gargiulo received the documents. He did. The court signs the receipt as does Gargiulo. And that's it for today's hearing. Here is my understanding of what's going on with the case at this point. Basically, just because Gargiulo issued a subpoena for documents doesn't mean he has the right to see the material he's requesting. What if Gargiulo issued a subpoena for my phone records and the carrier turned them over? Does Gargiulo have a right to that material? How relevant would it be? The prosecution's position is, they will question any subpoena Gargiulo issues, when they don't know 'who' he is issuing a subpoena for. After the hearing, I head to Dept. 100 on the 13th floor to see if I can find out where the Woodward case was sent. A sheriff's deputy kindly told me that Woodward was transferred to Dept. 103, Judge Curits Rappe. I've never been in his court before. The next hearing date is March 21. On Tuesday, February 11, the parents of Channon Christian and Christopher Newsom traveled to Nashville and appeared before the Tennessee Senate Judiciary Committee. The committee unanimously approved two bills they said can ease some of the heartbreak they suffered in the Tennessee judicial system. On Saturday night, January 6, 2007, Channon Christian, 21, and Christopher Newsom, 23, were carjacked, tortured, and murdered. Four suspects, Letalvis Cobbins, Lemaricus Davidson, George Thomas, and Vanessa Coleman, were convicted during 2009-10. Cobbins received a sentence of life without parole. Davidson was sentenced to death. Thomas received life without parole and Coleman was convicted of facilitation of the crimes against Channon Christian for a sentence of 53 years. George Thomas and Vanessa Coleman each received a second trial. Thomas was convicted again, but his sentence was life with the possibility of parole after 50 years. Coleman was convicted on 13 counts, down from 17 in her first trial, resulting in a sentence of 35 years, down from 53. I attended three of the seven trials in the Christian-Newsom case, two sentencing hearings, and one motions hearing. I spoke several times to Hugh Newsom, father of Chris, and heard Gary Christian make several comments during breaks in trial. The parents were unhappy with some of the sentences, in particular the life sentence for Letalvis Cobbins, brother of ringleader Lemaricus Davidson, and the sentence for the lone female defendant, Vanessa Coleman. When I met Hugh Newsom before Coleman's second trial in November 2012, he told me it was because of "the idiot judge" that the case was being retried. (The retrials were caused by the drug conviction of Judge Richard Baumgartner.) Of Judge Jon Kerry Blackwood, who replaced Baumgartner, Mr. Newsom said "I don't like this judge either." During the retrial last May of George Thomas, Gary Christian said he would "never, ever let anybody forget." The first bill was the Chris Newsom Act, which would modify Tennessee's "13th Juror" rule. Former judge Baumgartner went through four verdicts and four sentencing hearings without bothering to affirm the verdicts as 13th Juror as required by Tennessee law. Judge Blackwood overturned all four verdicts, saying he could not act as 13th Juror without seeing testimony. After presiding over the Coleman retrial, Blackwood affirmed the verdict as 13th Juror. Under the new law, a judge is required to act as 13th Juror immediately after a jury's unanimous verdict. Since Baumgartner left the bench, Knox County judges have been doing exactly that. Judge Walter Kurtz, who replaced Blackwood for the George Thomas retrial, quickly acted as 13th Juror when Thomas was again convicted. Judge Kurtz previously overturned Blackwood's ruling for retrials and upheld the guilty verdicts for Cobbins and Davidson because of overwhelming DNA evidence against both. The second bill passed by the Senate committee was the Channon Christian Act and is supposed to prevent defense attorneys from making up stories out of whole cloth about a deceased victim. Deena Christian, Channon's mother, said attorneys for defendant Lemaricus Davidson "lied to everybody about our daughter," falsely claiming Channon "had associated with Davidson and used drugs." 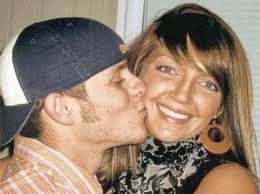 Her autopsy revealed Channon Christian had no drugs in her system and she had to pass a drug test to have her job. There was no evidence such as cell phone records that the murdered couple knew their killers. Both bills passed 9-0 without debate beyond sponsor Sen. Randy McNally explaining them and senators expressing sympathy for the families and appreciation for their testimony. Mary Newsom testified for the first bill and Deena Christian for the second. The parents will return to testify before a House committee in two weeks. My sources for this story were the Knoxville News Sentinel and WBIR, Knoxville's NBC station. I also used my own observations at the trials I attended or watched by live stream. Jahi McMath; source: Facebook support page. This is an opinion piece, by guest write KZ, CRNA. KZ is commenting on a new post by Dr. Paul Byrne on February 7, and a post Friday, on the Keep Jahi McMath on Life support Facebook Page. After you read the article, I would like readers to weigh in on this question. Is what Dr. Byrne doing, worse than Jahi's mother's denial? It's quite possible that Mrs. Winkfield is in clinical denial. KZ's entry, Jahi McMath, Frequently Asked Questions, Part II, originally slated to post today, will be posted tomorrow. Sprocket. The Jahi McMath case, by nearly every description, is a violent collision of faith, delusion, manipulation, science, and medicine. The public’s attention was captured with the original headlines decrying the tragedy of a “child” undergoing a “routine” minor surgery, who is now brain dead and going to be “taken off life support” by the big, bad hospital, over the emotional pleas and disagreement of her mother and family. The manipulation of the facts by the mainstream media guaranteed that the public would pay attention to this collision. The public’s attention, over the ensuing 8 weeks, has morphed from sympathy, to confusion, to disgust, to anger, and pity. In the beginning, there were a lot of people and groups that showed up to manipulate this vulnerable family. In turn, the family was, and is, all too willing to listen and be manipulated, in order to enable their ideas that their tragically brain dead daughter is healing, and improving every day. As of February 7, 2014, the family (or their supporters), continues to proclaim, via Facebook, that they expect a full recovery/ resurrection. They, and their supporters quote Dr. Paul Byrne. Dr. Paul Byrne continues to post essays every week or so about Jahi McMath on his site, and likewise reinforces the family’s ideas that Jahi is not dead, does not have brain death, and will recover. Remember the hair stylist in New York, who pretends that she runs an inpatient “facility” for brain injured patients? The one who has no “automatic doors” in her rental space building, and can’t raise the $5000 needed to buy them? The hair stylist who rents space in a building to other independent therapists, who could only be described accurately as providing services to outpatients? The one who is in the very early process of raising money to continue renovating an old house, that someday she may rent out to residents as a group home? The same stylist who was giving lots of interviews, and willing to “admit” Jahi’s body for care into her “facility”? Is a snake oil salesman ignorant, or delusional? Is a charlatan opportunistic, cunning, and manipulative? Or is a charlatan simply a misunderstood genius? Perspective is everything. Dr. Paul Byrne is a now-elderly man who trained as a physician 6 decades ago. He has spent the bulk of his career alternately denying the existence of brain death, with proselytizing that brain death was created as a profound evil, to fuel the bigger evil of enabling lifesaving organ donation. He strongly disagrees with organ donation, according to his prolific writings. He is also, in my opinion, an opportunistic emotional and spiritual predator. He has glommed on to Jahi McMath’s sad situation, and every 2 weeks or so puts out another essay about how much Jahi’s mother loves her (true, I am certain), and how Jahi is not really dead. Because her heart beats. And for some reason, he assumes her hypothalamus is “working”, because her body hasn’t yet assumed complete algor mortis. Does he understand the concept of brain death and poikilothermia? Paul Byrne’s ideas are peculiar in the extreme among mainstream scientists and medical professionals. This is a man who professes to be a medical doctor, who appears to not understand what is routinely taught in basic high school level biology classes and labs. This is a MEDICAL DOCTOR, who denies the existence of brain death, and spinal reflexes, and reinforces to Jahi’s family that these reflexes are a sign of brain function, healing, and improvement. This is a medical doctor who presumably does not understand that a heart can continue to beat OUTSIDE the body of its owner. This is a medical doctor who apparently believes that the affinity of hemoglobin for oxygen across a semipermeable membrane is more mystical than scientific, and that the inflating of dead lungs by a ventilator is equivalent to “life,” because oxygen exchange can take place. For more than 25 years blood substitutes have been researched, and even a synthetic artificial hemoglobin molecule is capable of exchanging oxygen. That doesn’t make it alive. As profoundly odd as all that is on a personal level, it pales in comparison to what Paul Byrne has done preying upon the tragedy of Jahi McMath. In my opinion, he is an opportunistic emotional and spiritual predator which is far worse than simply having personal ideas that clash with the mainstream. His peculiar and singularly personal blend of pseudo science, intermingled with his own personal brand of mysticism and Catholicism, denies biological certainties, and has enabled the voluntary delusions of a large mass of people who support Jahi’s mother’s delusions that Jahi will be resurrected. I would pity this man’s delusions, if I were not so disgusted by his predatory and opportunistic exploitation of the emotionally and intellectually vulnerable. If he were simply a regular member of public, or even a faith-based personality, I might cut him some slack. But this man proclaims his non-scientific based beliefs, while simultaneously cloaking himself with the mantle of his MD degree to attempt to lend validity to his beliefs. And while posting regular essays about Jahi McMath—and THAT is a whole different ball game. That is exactly the line where he has crossed from simply “holding” his beliefs, into predatory exploitation of a vulnerable family, and those intellectually vulnerable people who support the family’s delusions. Paul Byrne is actively enabling this family to avoid scientific and medical reality. I personally don’t believe he is doing this for money, or out of a sense of compassion. He has glommed onto this sad and disturbing situation as a public way to further his own odd and peculiar beliefs, and to continue to exploit a vulnerable family. For any health care professional to do that, is, in my opinion, profoundly unethical, immoral, and despicable. Paul Byrne has a right to proclaim his beliefs all he wants as a private citizen, but in my opinion, he needs to leave Jahi McMath’s family out of his proselytizing. Enough people have exploited this unfortunately brain dead 13 year old, and her family. We don’t need someone with an MD degree, who definitely knows better, to continue to exploit her—there are enough other charlatans and manipulators in line to do so. Paul Byrne, I call on you to look inside yourself and be an ethical man, and stop talking and writing about Jahi McMath. Stop giving this mother, and this family, and their supporters false hope. Your words are only making the entire situation much worse for the family, and their supporters. Jahi McMath is gone, and has been for 8 weeks, and will never wake up. That is what you need to tell Jahi’s mother, DOCTOR Paul Byrne. GUEST ENTRY by KZ, a CRNA. I asked KZ to share some of her thoughts on what might be happening to Jahi's body. This is Part I of a two-part series. Part II will be posted next week, covering three more topics. Sprocket. 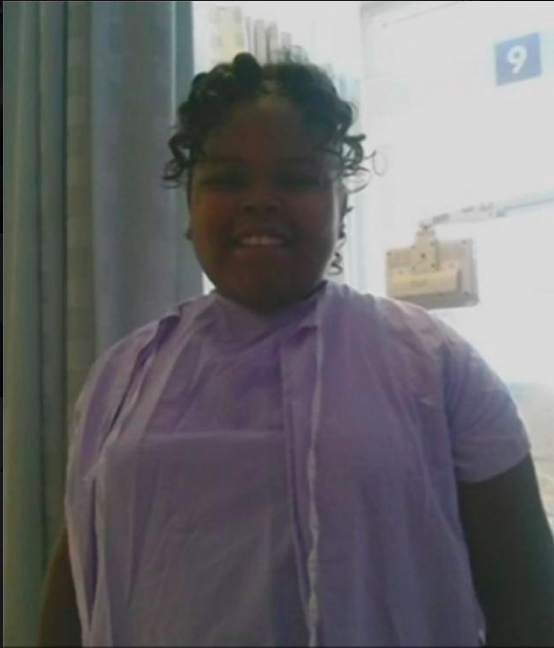 The very sad saga of Jahi McMath continues on. Last week, a Facebook posting put out the information that she is “doing great”, “responds to her mother’s touch”, “healing”, but is “not awake yet.” A brief video clip showing her feet moving was posted, then abruptly pulled off Facebook, but was reposted on YouTube. 1. If those really were Jahi’s feet in the video originally posted on Facebook, how is it possible, if she has brain death, that her feet could move when ice is rubbed on the soles? Stimulating soles of the feet can produce something called “spinal reflexes”, which are mediated by the spinal cord and peripheral nerves, and does not require higher brain function. Here are some examples. Changes in spinal reflex excitability in brain-dead humans. The excitability of proprio- and exteroceptive spinal reflexes was monitored electrophysiologically and clinically during the occurrence of brain death (BD) in 8 patients. After a period of total reflex unresponsiveness, the soleus H reflex attained a steady-state excitability level in 2-6 h. The recovery cycle of this response regained its normal shape at 10-20 h.
Digital responses to mechanical stimulation of the foot sole were evident after 6-8 h.
It is concluded that the human spinal cord reacts to BD with a spinal shock, characterized by sequential recovery of reflex transmission. The overall timing of this process appears to be much shorter than that previously described for the spinal shock following traumatic transection of the cord, but the latter was never studied in the earliest phases. KZ note, the area that they are stimulating in the video is L5- S1 dermatomes- quite low in the spinal column. If one were to apply a peripheral nerve stimulator to Jahi's body-- the hand and wrist area, for example, it would be quite easy to induce muscle twitching in response to electrical impulses. If you put the stimulator in certain positions, you can even induce a whole joint to flex or contract (like a wrist). This type of stimulation and response is independent of brain function. It would not be a "reaction" to pain, even though someone who isn't knowledgeable might be tempted to interpret it as "withdrawal to painful stimuli." 2. What could happen if Jahi’s heart stops? I think it is probable that Jahi's heart will stop while she is still on the ventilator. I don't see them taking her off the vent, and letting her heart stop. Mrs. Winkfield has said many times that she will not remove the ventilator until her heart stops. And it is definitely possible to have cardiac arrest, and also have a ventilator still cycling and blowing air into her lungs. If Jahi's heart stops while she is on the ventilator, it depends on "how closely" she is being monitored, how quickly this is detected, and whether or not they have decided to try to do anything about it. It is "possible" that her heart and other functions (like pulse oximetry) are not being monitored continuously, if she is in a long term care facility. We have no idea what they are monitoring, and the capabilities of the staff and the facility. Particularly if Mrs. Winkfield has decided not to try to do anything medically if her heart enters an abnormal rhythm-- for instance, if she is on palliative care, she may not be on typical ICU monitoring, but just have the ventilator cycling. If she is receiving heart monitoring and pulse oximetry, and if appropriate alarm limits are enabled and audible, then if her heart enters an abnormal rate or rhythm, the alarms will sound as the limits are violated. Then the staff would have to decide if they are going to attempt to treat whatever is going on (with drugs, and intravenous fluids, and/ or electricity), or "let her go", or call 911, etc. I have no idea what they have decided to do. If, for example, they have decided to "let her go", hopefully they will silence alarms, allow family to sit quietly with her body, hold her hands, etc, and at some point an appropriate staff member will quietly turn off the ventilator. Very seldom does a heart go from a normal rhythm to complete stand still (asystole) abruptly-- it's more likely her heart would experience rate and rhythm abnormalities as a prelude to the final pings of electricity that precede asystole (standstill). That could be minutes, or hours. Often, the final bits of electricity can kick out for 15-20 min or more, once a rhythm has ceased. The other situation, is that the heart continues to put out electricity, but there is no "squeeze" to produce a pulse that can be felt. This is called “pulseless electrical activity.” That is a common ending, too, with that rhythm deteriorating to remnants of electricity that eventually stop. PEA is typically only treatable when there is an obvious thing to fix right away—medical folks call these the “Hs and Ts”, from the ACLS algorithms. Otherwise, it’s a sign that the end has come for the function of a heart. When I was a young nurse in ICU many, many years ago, I was privileged to see a number of hearts “die” on the monitor, in patients on a ventilator, who were “do not resuscitate” status. We had to leave the vent on and cycling until the doc or resident came up and pronounced them dead. Those patients, in their last minutes, taught me a lot of lessons that have helped me anticipate declines in my patients for my entire career. I feel very privileged to have been able to witness those dying hearts, and learn what I was seeing, without the typical hustle and rush of resuscitation. There is no suffering for someone with brain death whose heart stops. Their color will become pale (most noticeable in the lips and inner mouth, and the palms, in someone with darker complexion), and the skin takes on an ashy or waxy, pale color as circulation ceases. Jahi’s body wouldn't gasp or convulse. In fact, if she is not on a heart monitor or a pulse oximeter, the staff might not notice that her heart isn't beating well for quite some time. The vent will continue to cycle, even if her heart isn't beating well enough to circulate blood effectively, or if her blood pressure is very, very low. I want to add that if she is in a home care, or long term care facility, that the monitors themselves are not as sophisticated as an ICU setting. They may not have any central telemetry monitoring-, but may have a type of transport bedside monitor- meaning, only when someone is in the room looking at her monitor would they be evaluating what is going on. We cannot assume what kind of monitoring her body is receiving, or not receiving, since there is really no "standard of care" for the level of care her body is receiving. Basically, they are free to do whatever monitoring they want, or are capable of doing. I doubt she has continuous arterial blood pressure monitoring, for example-- so may be on intermittent blood pressure cycling using an external cuff (such as a dynamap). They might set that to go off every one minute, or set it to go off every 15 min, or longer, etc. Or just manually cycle the automatic BP when they are in the room.I doubt they have noninvasive cardiac output capability (which uses the ventilator circuit to calculate cardiac output). All of this monitoring is dependent on having staff who understand how to do it, and how to interpret it. We just have no idea what the capabilities are where she is. While Jahi isn't capable, thankfully, of feeling any distress when her heart stops, the living people around her certainly are capable of feeling distress. Whether or not Jahi's family has a peaceful experience when Jahi's heart stops (which it most assuredly will, at some point), depends on the decisions they have made/ are making about what they want to do when that time comes. From what they have demonstrated over the past 6+ weeks, they are in denial about her brain death, and continue to use social media to proclaim her improvement and that she will fully recover. Perhaps they are saying and feeling differently in their private, family moments together. I'm sure we will never know, nor should we. If Mrs. Winkfield has decided that Jahi's heart is not a "DNR" (do not resuscitate), they she may have made arrangements with the staff and facility to do whatever they are capable of doing to keep her heart going. That means it could be a very emotional, chaotic situation, as well, if they decided to jump on her chest and do CPR, and attempt ACLS maneuvers. As it has been told that she is in a long term care facility, and given that she is legally dead with a death certificate, it is extremely doubtful 911 would transport to any ER. The capabilities of a nursing home, even one with ventilator and IV capability, are extremely limited, when it comes to providing ongoing "ICU" type support during and following cardiac arrest. They might get her heart back for a few minutes, or a few hours more, but there is a limit to how much you can "flog" a dying heart in a brain dead body. And keep in mind that if Jahi is in a long term care facility, the capability of the nurses (and physicians) is definitely not the same skill level and knowledge level as that of ICU nurses and pediatric intensivists. In other words, most LTC, LPN's and RN's nurses are very good at what they do, but they are not ICU trained and skilled. They would have a very limited ability to know how to run vasoactive IV drips and monitor them, if they even had access to vasoactive drugs in their facility, etc. Long term care facilities don't have the kind of pharmacy support that acute care hospitals do. There is probably no physician in house 24/7 to tell the nurses what to do (if the doc even knows what to do), beyond BLS, (basic life support) and possibly some ACLS interventions. What I am getting at is that the stopping of Jahi's heart could indeed be a very chaotic event, and it is also possible that Mrs. Winkfield might "blame" them for not being able to resuscitate Jahi's heart when it happens. I genuinely hope that the staff "there" is preparing the family for the inevitable, and talking about how to make Jahi's cardiac arrest be as peaceful as possible for the family. I hope this, but I also strongly doubt that anyone is willing to do the intervention with the family that is necessary to get them to the point where they will face reality. Anyone who doesn't speak their party line that Jahi will recover, is summarily dismissed as being "negative", and a "hater", and not trusting God to resurrect her.